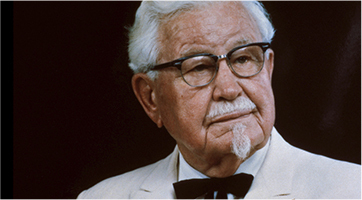 Harland Sanders is born in Henryville, Indiana. 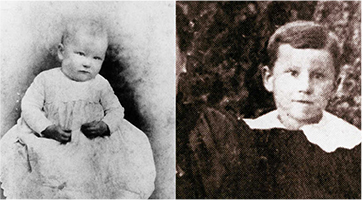 He spends his early years making his way around the southern states,trying his hand working as a steamboat pilot, railroad fireman and farmer. 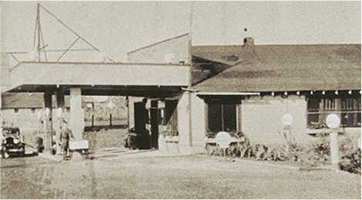 When Harland turns 40, he buys a roadside motel in Corbin, Kentucky and begins serving his southern style chicken. 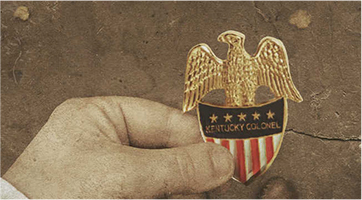 Harland’s restaurant is doing so well heis commissioned as "Kentucky Colonel" by the state governor for outstanding achievement in the community. 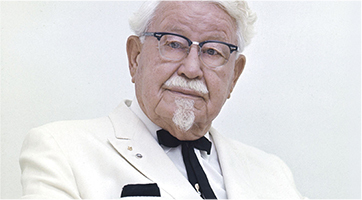 Finally, the Colonel perfects his unique blend of 11 herbs and spices that are still used today... and still top secret. 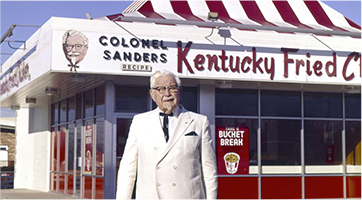 The Colonel dons his iconic white suit for the first time and from then on, wears one every time he's out in public. 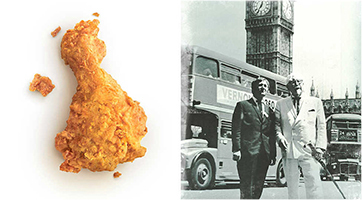 The first Kentucky Fried Chicken franchise opens near Salt Lake City, Utah. 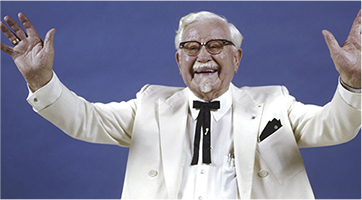 Colonel Sanders sells his Corbin, Kentucky restaurant and goes on the road to sign up new KFC franchisees. 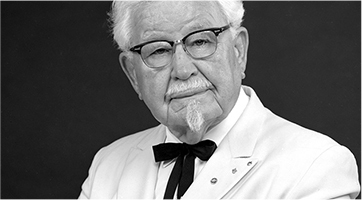 As a network of franchises grows across the USA, the Colonel feels it's time to slow down, and sells the KFC Company to investors. 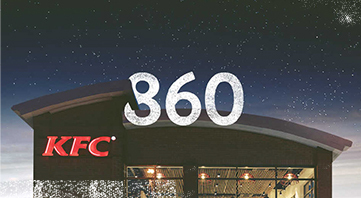 The UK opens it’s first KFC restaurantin Preston, Lancashire. 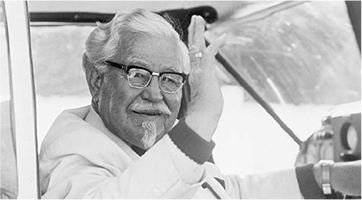 The Colonel is named the 2nd most recognisable celebrity in the world after an independent survey. 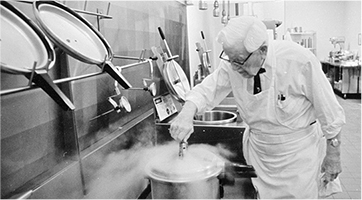 After a rich and full life, Harland Sanders sadly passes away at the age of 90. 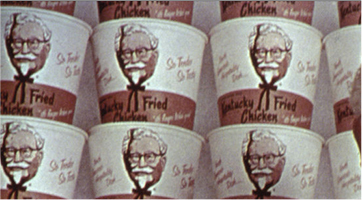 His legacy lives on through his Original Recipe chicken and the company logo adapts over the years, with the Colonel's face remaining at the forefront of the design. To create healthier food and lower the carbon footprint, palm oil is replaced with rapeseed oil in the UK in 2011. There are now over 860 restaurants in the UK, one that becomes a concept store in 2014.